Can’t get through the day without coffee? Feeling tired is common, but that doesn’t mean it’s normal. In fact, I think exhaustion has become a modern day badge of honor. We tend to believe that if we’re not tired, we haven’t been working hard enough. We are all busy, stressed, and overwhelmed, trying harder and harder to fit more into each day … and feeling more and more exhausted as a result. People come to me in my practice every day with what I calling “rushing syndrome.” That’s when they always feel fatigued, and that fatigue slowly wears their body down until other symptoms start to appear. And although it’s important that they change their diets so they are eating for energy, there are a number of other things that are not food that can be beneficial to boosting their energy levels and reducing that feeling of overwhelm. The 13 natural energy boosters below are quick to implement and easy to fit into a busy lifestyle. In fact, many of these tips also help you boost productivity – which helps you get more done in less time, leaving more time and energy for the things that you really love doing. It may seem logical to think that exercise drains your energy, but it’s actually a huge energy booster. Studies have shown that one of the best ways to beat fatigue is to get moving. Researchers at the University of Georgia found that just 20 minutes of low to moderate exercise, three times a week boosted energy levels by 20 percent and participants reported a 65 percent drop in feelings of fatigue (1). Exercise also releases endorphins in your body, which makes you happy and less tired. Incidental exercise helps too, so when and if it’s possible, try to walk to work or park farther away from shops so you can get some extra steps in over the course of a day. It doesn’t have to be all or nothing. To maximize the energy boost from your workout, incorporate some muscle-building exercise to help build lean muscle mass. More muscle means more energy-producing mitochondria in our cells – resulting in a higher metabolic rate, which assists with body fat management as well as energy production. The greater your muscle mass, the more mitochondria you will have producing energy. Sleep is one of the most undervalued health activities to help you get your energy levels back on track. In fact, inadequate sleep can affect your health in a number of ways, according to the National Sleep Foundation. So think of sleep as a health activity that is just as important as working out and prioritize getting enough to restore your body. * Increase the quality of your sleep when you are in bed. Quality can be just as important as quantity of sleep so make sure your bedroom is dark and quiet, turn off electronics at least 1-2 hours before going to bed (or use blue-blocking glasses or an app like f.lux) and create a short bedtime routine to get yourself ready for sleep. * Take a 20-minute power nap. Power naps have a range of health benefits and can boost your energy levels throughout the day. In fact, the benefits are so great that MetroNaps in New York City provides darkened cot-like booths for workers needing a rejuvenating power nap, and U.S. Marine commanders are required to have a power nap before patrols. 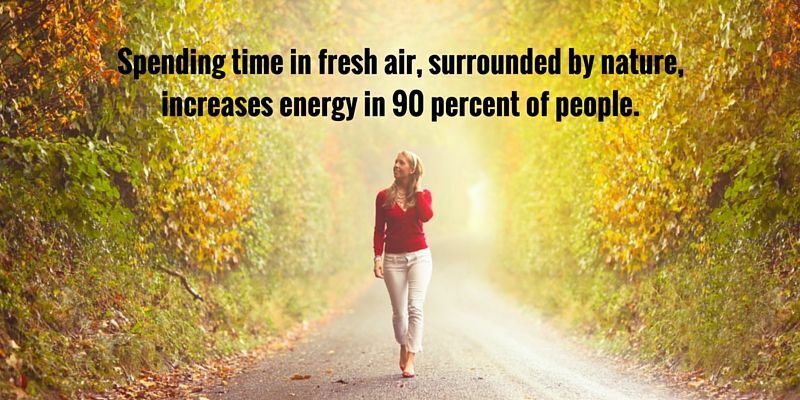 Getting outside even for just a few minutes can boost your energy more than a coffee. In fact research shows that spending time in fresh air, surrounded by nature, increases energy in 90 percent of people (2). Walking through a park or spending time in your backyard can help you feel more energized, especially if you can get a little sunshine. Vitamin D from the sun is vital for your immune system (and energy), and it’s a common nutritional deficiency. It’s not only people in wintry climates who are affected. Those who live in hot, sunny climates also can be deficient, as covering up with sunscreens can limit the amount of vitamin D you are actually getting. When possible, get outside for 20 minutes of sunshine each day. Studies have shown the numerous benefits of a regular yoga practice (3, 4, 5). So grab a mat and start practicing yoga at home or check out a local yoga class. 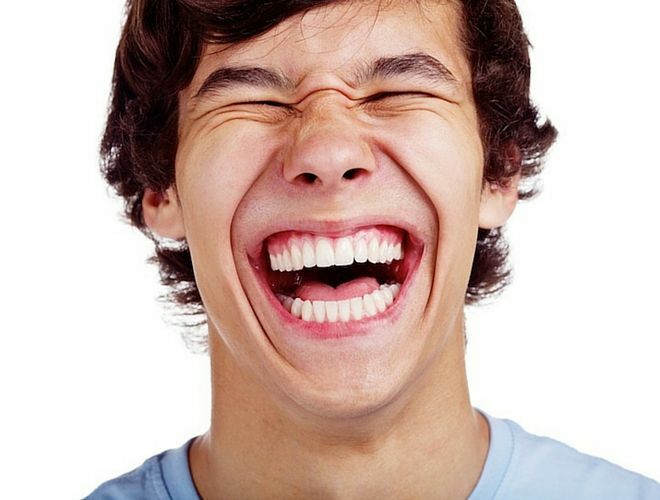 Laughter really can be a great medicine and also is one of the best natural energy boosters. A good laugh improves your mood by reducing your levels of the stress hormone cortisol, and less cortisol can equal less stress. It also boosts your heart rate and makes you breathe faster, which sends more oxygen to your muscles and organs, which also gives us more energy. And as a bonus, laughing actually works out your diaphragm and abdominal muscles. Need a quick laugh? Surf to a short funny YouTube video and feel more energized instantly. Each morning self-help guru Tony Robbins plunges into freezing water or spends some time in a cryogenic chamber to improve his energy level, boost his immunity, and reduce inflammation in his body. Even though this might be considered extreme when it comes to using the benefits of cold thermogenesis, jumping in a cold shower will help you wake up, feel energized, and increase alertness by dramatically increasing your oxygen intake and heart rate (6). It turns out that the way we breathe can have a massive effect on our energy, focus, and stress levels. Most people breathe sharp and shallow breathes high up in their chests, especially when under stress. But breathing this way prevents the body from getting as much oxygen as it needs, which is one of the reasons you feel so drained after a stressful day. Instead, at various points throughout your day make some time to take in deep, slow, belly breaths, also known as diaphragmatic breathing. Focus on filling every part of your lungs, so that your belly is pushed out as you breath in. Even just taking a few of these restorative breaths can signal the relaxation response in your body. The increased oxygen will boost your energy and even contribute to greater mental capabilities (7). Dehydration can make you feel tired and hungry, so making sure you drink enough water every day is a natural energy booster. 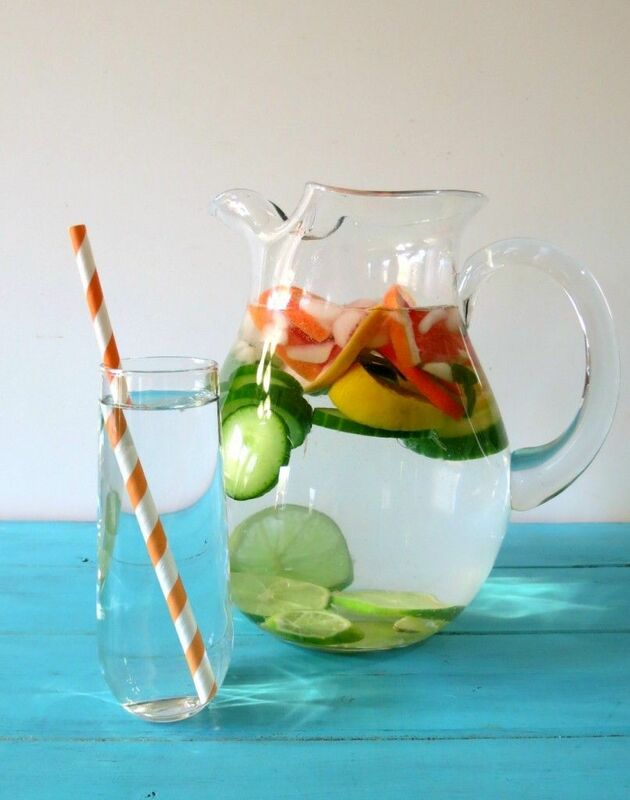 You want to be drinking at least half your body weight in ounces of water. So if you weigh 100 pounds you want to be drinking 50 ounces of water. This is just an estimate: Listen to your body, especially if you are in a hot climate where you might need more hydration. One of the best ways to see that you are getting enough water is to check the colour of your urine. Pale yellow to clear is a sign your are well-hydrated whereas a darker yellow color means you need to drink more water. Ever noticed how your favorite tunes can change your current mood right away? Likewise, there right music can also give you a boost of energy, so keep an energizing playlist handy for a natural energy booster when that 3 p.m. energy slump hits. It’s amazing how energizing it can be to connect with friends or family. Have you ever felt a little low or tired but then bumped into a friend, or met a family member for a chat and felt a lot more energized afterwards? Take a minute to call a friend for a quick energy boost, or try a walking meeting to incorporate exercise and connection into your day. Schedule in time for connecting with those who uplift us on a regular basis. Try dabbing a few drops of these oils on your wrists or use a diffuser to gain the benefits of these great natural energy boosters (8). On average most of us have around 25,000 mornings as an adult. Coming up with a plan to optimize these mornings for maximum energy and well-being makes sense, to give you the best chance for feeling good all day. But you can create a plan that works for you, to start your day off feeling motivated, relaxed, and energized. 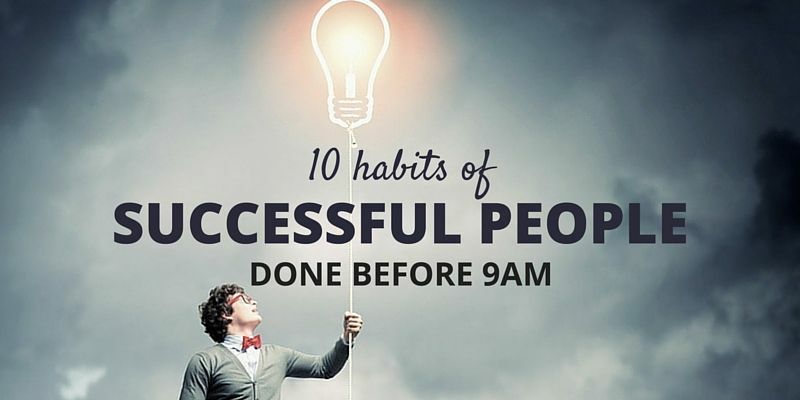 Take the first hour for yourself and make sure your morning routine is prioritized. And this means before you check your phone. This idea is courtesy of Leo Babauta over at Zen Habits and you will have to try it for yourself to discover just how well it works. Bring a change of socks to work, and change them halfway through the day. It is amazing how much fresher you will feel. Start slow with these 13 energy boosters so they don’t become just one more thing on your never-ending to-do list. That way, easier to be consistent so you can see if they truly work for you. Information is nothing without action so choose one or two that you are going to try this week to increase your energy levels and start feeling energized. Get Yuri’s proven 3-step formula to go from exhausted to energized in less than a week. (As experienced by more than 26,237 tired men and women). 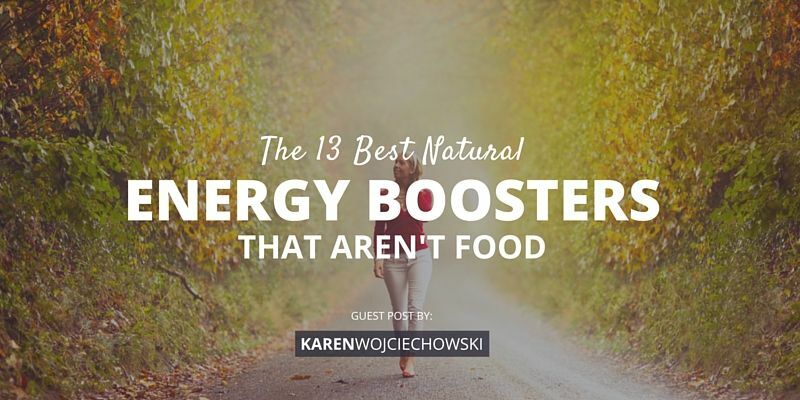 Click the banner now to download Natural Energy Boosters – for FREE!